A passionate organizer in arts and cultural management, Ilene Sova is a practising artist, professor and the founder of two non-profit organizations. She will discuss how to manage several projects while maintaining a creative practice. ​Ilene Sova is an artist, educator with black mixed race, indigenous and settler ancestry who lives with a disability. As such, she passionately identifies with the tenants of intersectional feminisms and has dedicated her life to “art-tivism”. She is the founder of both the Feminist Art Conference, and Blank Canvases and teaches in the Faculty of Art at OCAD University. She has an honours BFA from the University of Ottawa in Painting and an MFA in Painting and Drawing from the University of Windsor. With extensive solo and group exhibitions in Canada and abroad, Sova’s work has most notably been shown at MOCCA, the Department of Canadian Heritage, and at Mutuo Centro de Arte in Barcelona. 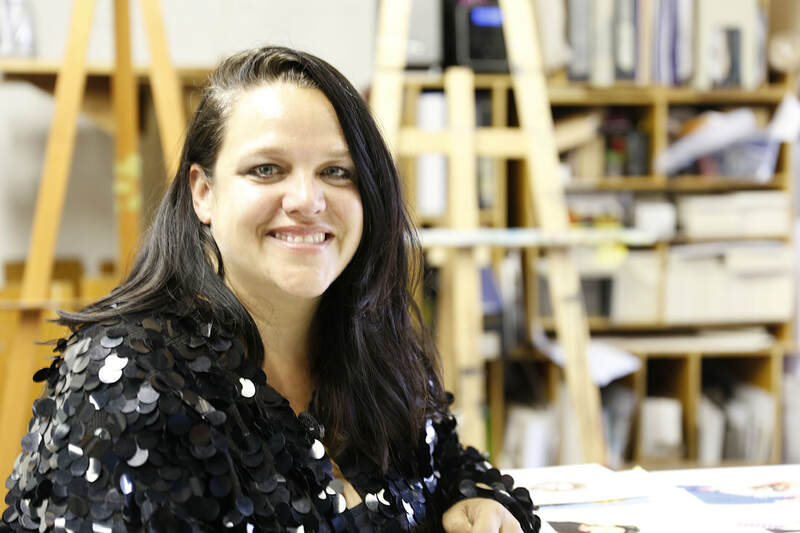 Passionate about social justice issues, her exhibit the Missing Women Project garnered much attention around issues of violence against women in our local communities. Sova’s work has been featured in a variety of television, Internet and print media including features in The Toronto Star, CBC Radio, CTV Canada AM and The Toronto Standard. Sova’s work was internationally featured in the Nigerian Arts Journal, Tabula and the Italian feminist journal. Woman’O’Clock. Sova was also chosen to speak at the first TEDx Women event in Toronto where she gave a critical analysis of the Missing Women Project. She is also a member of the 3MW Art Collective which explores issues around mixed race identity through portraiture.